We can legally fly drones commercially, flying in controlled airspace, and more! Ok, so after just getting off the phone with the local FSDO office, I decided to shoot a quick vlog and share my experience. They were really helpful by the way! First things first. I've taken and passed my part 107 knowledge exam! What does that mean exactly? It means that we can now fly drones for commercial use. AKA... MAKE MONEY! It's an exciting time for the drone industry, and i'm looking forward to see what the next few years brings. On to the topic of the day... I have been receiving multiple requests for aerial photos/videos for properties that sit along Lake Erie, and are close to downtown. The problem? There is a small airport that sits right on the lake and is connected to downtown. It's the airport that Trump used when he flew in for the RNC. Small airports like this sit in what's known as Class D airspace. Without talking too much about airspace jargon, within the United States, the FAA controls certain airspace. That space can start at ground level, or much higher, depending on the location. 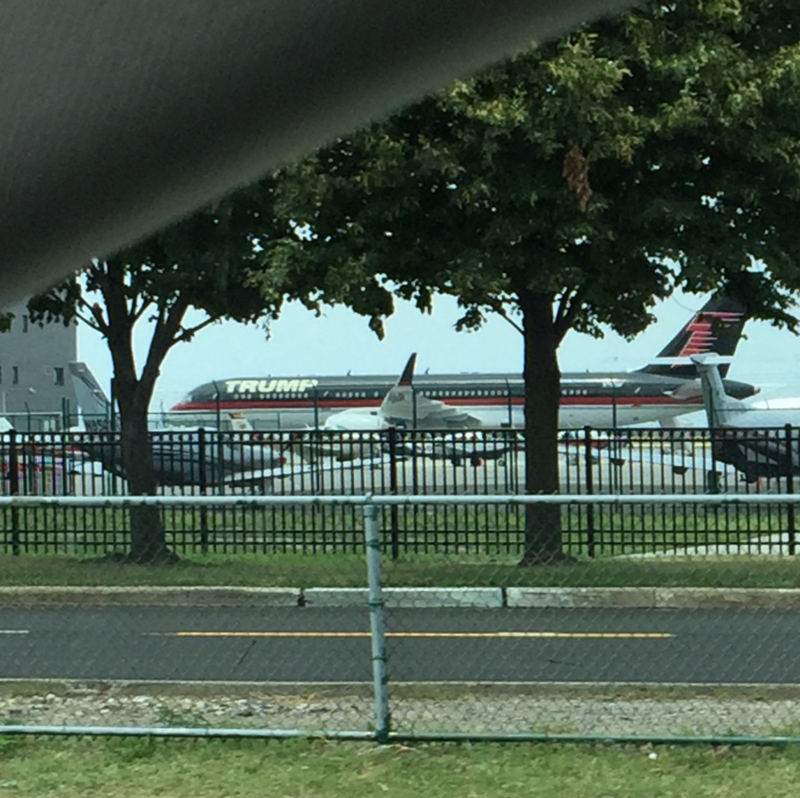 Trump's plane at BKL airport - taken from my car. What we're dealing with in or around downtown Cleveland is Class D. It starts at the surface, and generally extends up to or around 2,500 feet above the airport elevation. If we want to operate a drone commercially (for money) within the Class D designation, we'll have to get prior authorization from the FAA. After I received an RFQ from a client about a property close to the edge of the Class D airspace, I was having trouble getting a clear answer as to where the property was on an airspace map. 100% zoomed VFR sectional chart of CLE, with a pin at our shoot location. SHOWN INSIDE THE CLASS D AIRSPACE. But when I checked airmap.com, it shows the same location just outside the Class D umbrella. SHOWN OUTSIDE THE CLASS D AIRSPACE. This is frustrating when you're trying to play by the rules and keep things legal. So, I called my local FSDO office. Here's what they had to say about Class D.
If you're within 5 miles of a Class D airport. This means up to 4.999 miles on Google maps. You MUST request authorization to fly there commercially. Request for AUTHORIZATION is typically between 1 day and 6 weeks. They suggested that if you know you'll need to be flying in a controlled airspace often, submit a request for waiver on a specific location with a specific radius for 6 weeks. He said with confidence that authorization are typically granted within 1 week after submission (i'll believe that when I see it). Once you receive approval for the 6 week window, go back and submit a WAIVER for a 3-4 year window. Request for WAIVER is typically between 30 days and 4 years. This one will be a little harder to obtain, and you should expect them to take months to respond. The FAA will dig into your business at this point to make sure you're operating within the current Part 107 law, and will most likely call you to explain your risk mitigation plan etc. So you'll need to have your ducks in a row. Older PostPilotfly H2 Pistol Grip 3 Axis Gimbal + some other stuff.